The New York Times headlines Grant's Victory At Richmond in this beautifully framed Civil War Coin and Stamp Collection. 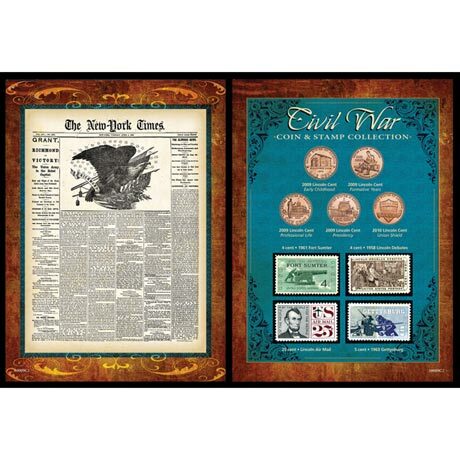 An official reproduction of The New York Times front page dated April 4, 1865 is showcased along with 5 genuine U.S. coins and 4 U.S. Postage Stamps in a wallet. President Abraham Lincoln toured Richmond on April 4, 1865. Upon landing in Richmond, Lincoln was spotted by black workmen who bowed to him. Lincoln is quoted as saying, "kneel to God only, and thank him for the liberty you will hereafter enjoy." This Civil War tribute contains four 2009 Lincoln Bicentennial Pennies, a 2010 Lincoln Union Shield Penny and 4 commemorative Civil War postage stamps, a 1958 4-cent Lincoln-Douglas Debate Stamp, a 1961 4-cent Fort Sumter Stamp, a 1963 5-cent Battle of Gettysburg and a 25-cent Lincoln Air Mail Stamp. A Certificate of Authenticity is included. 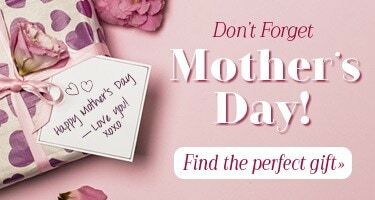 Allow 2-3 weeks, no rush delivery or gift box. Item can only be shipped within the Continental US.